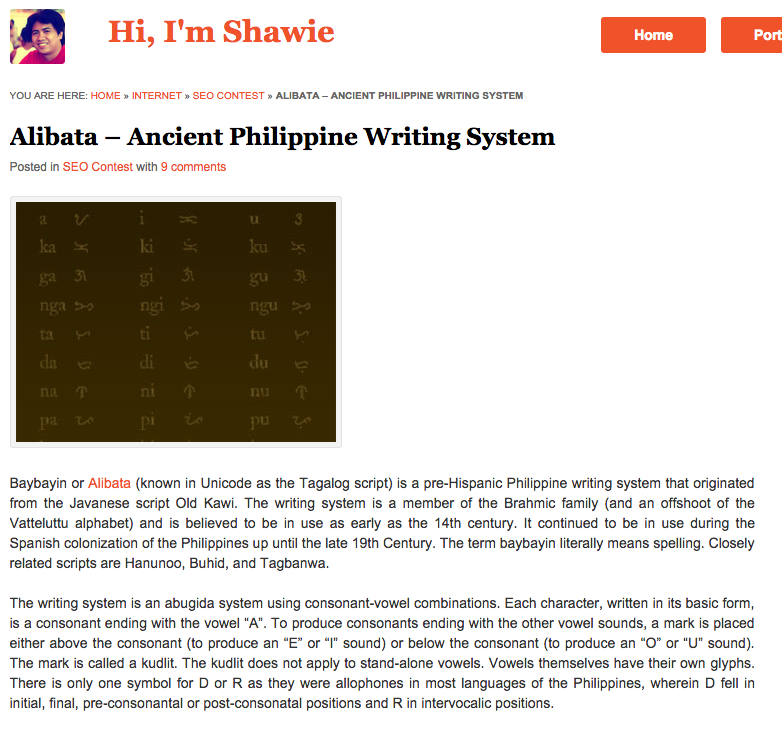 Why are there so many crappy posts about Alibata on the internet? 2 words: SEO Philippines. SEO is short for Search Engine Optimization. In 2007, there was a contest to see who could get their website to rank the highest in search engine page results if someone searched for Alibata. This resulted many posts with duplicate content that didn’t provide much context. While the spirit of the contest was good, most of the authors didn’t care about educating the public on the script and frankly don’t know much of it. These websites were abandoned right after the contest was over but the damage was done. If you search for Alibata, these sites still come up. Here’s a sample post entry that polluted the internet around 2007-2008. Here’s another example with a bit more detail. Mostly copy and pasted info from Wikipedia. Notice the category “SEO Contest”. Because this post showed up high in search engine results and has more content compared to the others, people started asking for assistance and commenting. Nowhere else on his website does he write about the script. People don’t see a response and try to figure it out themselves leading to errors. 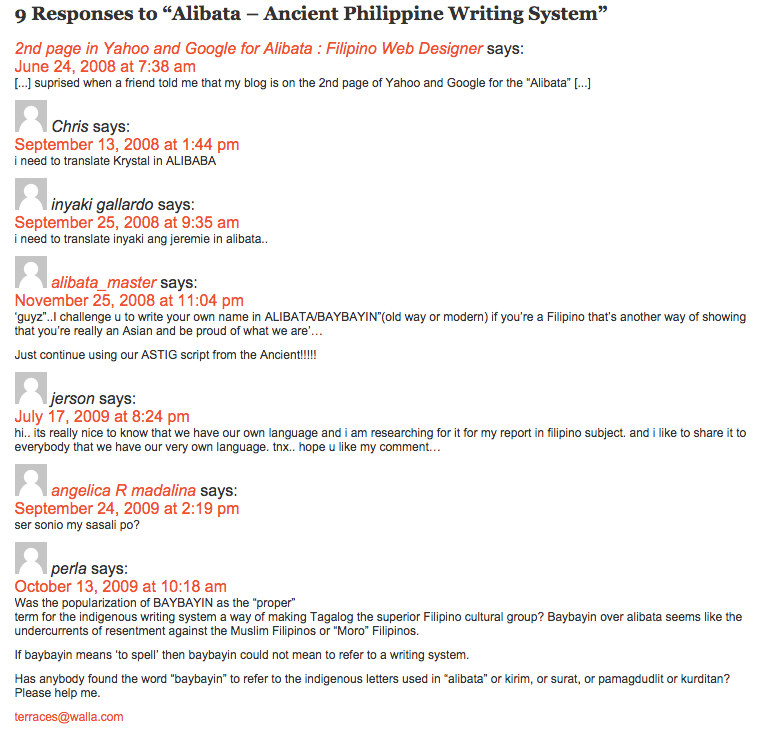 This entry was posted in Articles and tagged alibata, history, seo. Bookmark the permalink.